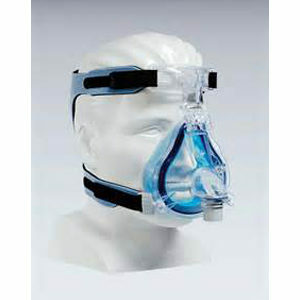 The Respironics Deluxe Chin Strap is designed to deter mouth breathing and jaw dropping while using your CPAP mask. 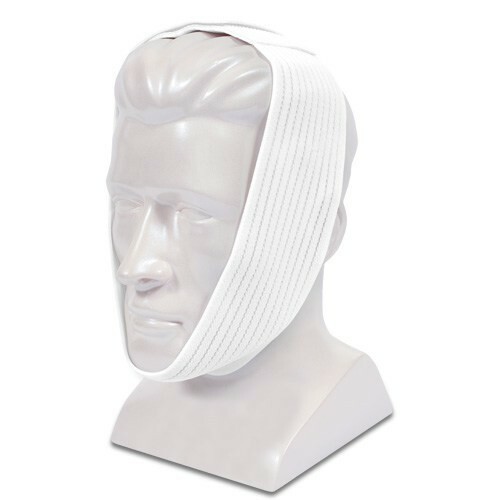 Soft and comfortable, the Deluxe Chin Strap consists of a wide strap and a stability strap. 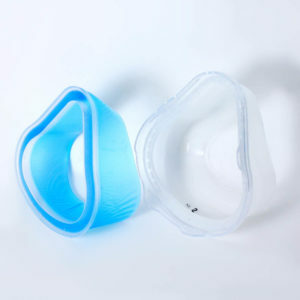 The Deluxe Chin Strap by Respironics is designed to deter mouth breathing and jaw dropping while using your CPAP mask. 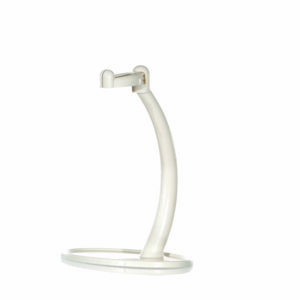 Soft and comfortable, the Deluxe Chin Strap consists of a wide strap and a stability strap. The wide strap passes under the chin. The chinstrap closes on the side of the head with the Velcro closure. 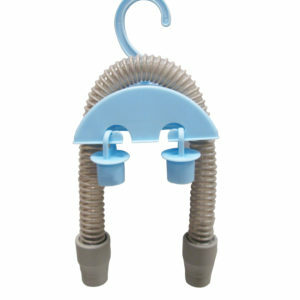 The stability strap is attached to the wide strap facing the back of the head.